Struggling with what to put in your media kit? Don’t even know where to start? What Could My Finished Kit Look Like? InDesign templates are available for download too! If you are COMFORTABLE with InDesign, then these are for you! If you've never used InDesign or aren't familiar with the program, then stick with Canva as no InDesign instruction is given. This course wasn’t created to convince you that you need a media kit or tell you how to pitch to brands. It WILL walk you step-by-step through a media kit that will knock the pants anyone you send it to (metaphorically of course). Get started on your Media Kit now, girl! Enroll now to get instant access to all modules. You'll be able to finish your media kit in a week or less! 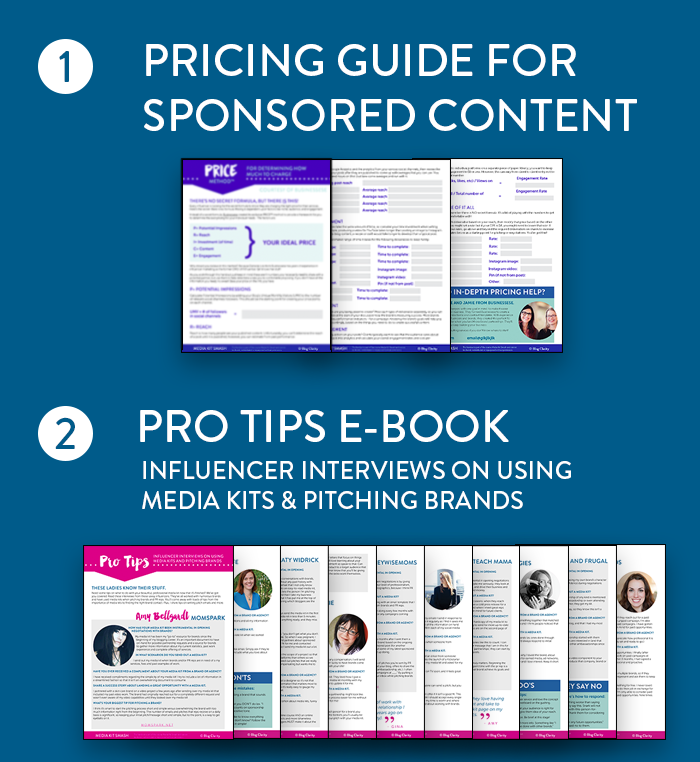 Learn the right things to say (coming from someone who works for a brand), how to make your media kit easy on the eyes, AND how to finish strong so contacts are reaching out to you to find out more. Let's do this! As a marketer for over 18 years (and a blogger for 9 of them), I know how to build and plan content that reaches the right audience and turns them into raving fans. For the last six years, I’ve worked at Burt’s Bees, currently as the Assistant Manager of Digital Brand Engagement. Back in 2010, I was a year into blogging just as a hobby. It was a “mom blog,” but once a week I’d share tips for bloggers. Turns out my readers cared more about that than the adventures with my kids! Then… I got laid off. At that point, I took the leap to start Blog Clarity, turning my professional experience into actionable, can-do strategies, tips, and tutorials for peeps like you. Now, I've taught over 5,000 students how to do BIG things with their online business. Enroll now to get instant access to all modules. You'll be able to finish your media kit in a week or less!